There’s plenty of good news with this new generation. 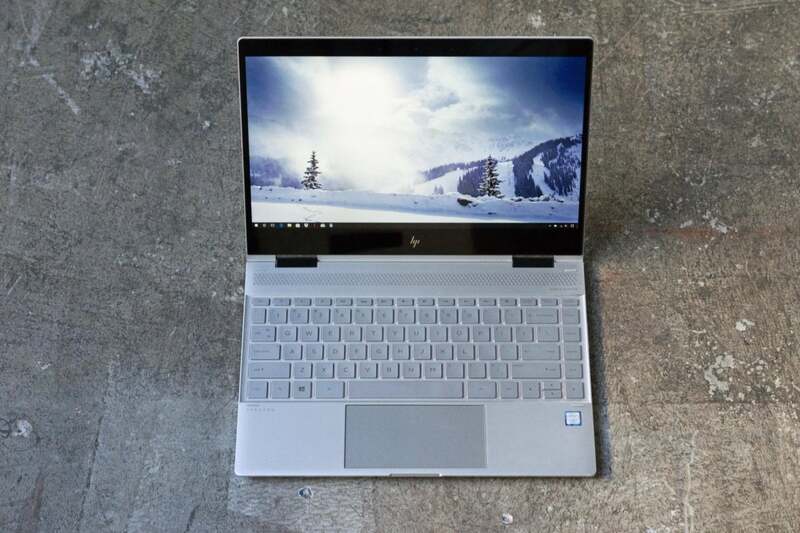 Our favorite convertible laptop, HP’s Spectre x360 13t, sports a quad-core 8th gen chip while maintaining its diminutive size. It’s really the total package. And there’s more to come: We’re currently in the middle of testing Dell’s 8th-gen-fortifiedXPS 13, which promises more performance in an even smaller package. Update 3/9/2018: We have new top picks in several categories. The best Surface 2-in-1/hybrid is no longer the Surface, but Lenovo’s IdeaPad Miix 520, a clone that outdoes the original on overall value. Microsoft’s Surface Book 2 ascends as the ultimate luxury laptop, though. 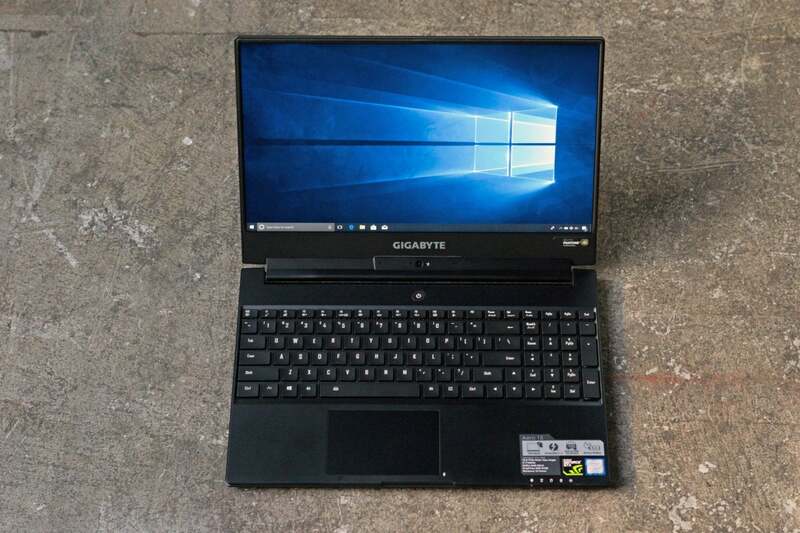 Gaming laptops get a new budget winner, Dell’s Inspiron 15 7000, and a new portable pick (no really, you can carry it): Gigabyte’s Aero 15X. We haven’t even seen Intel’s new Core H-series parts: 8th-generation, quad-core Core i5 and Core i7 chips, married with what AMD calls the Radeon RX Vega M GPU. That’s right: discrete graphics on a mobile chip, thanks to a surprise partnership between the two longtime rivals. Intel has yet to commit to a ship date more specific than Q1 2018, but as of this writing, the clock is ticking louder. Not to be outdone, AMD announced everything at CES except the kitchen sink, seemingly, including its own mobile chip, also with Vega in the name. Ryzen Vega Mobile promises high frame-rate AAA gaming in compact form factors, using an RX 580 GPU with its own memory. AMD promises we’ll see these chips sometime in 2018. Other recent reviews include the superthin LG Gram 14 (a shade under $2,000 currently on Amazon) and the versatile Samsung Notebook 7 Spin. FOr gamers, we’ve benchmarked the powerful Origin EON17-X, which should make desktops nervous, and the HP Omen 15 (available from HP), which could be a good gaming laptop with just a few tweaks. Keep reading for our top picks in every category. If it ain’t broke, don’t fix it—but while you’re at it, make it faster too. Yup, Dell basically added a Kevin Durant to its Golden State Warriors this year with the newest XPS 13. Dell basically drops in a game-changing 8th generation quad-core into its award-winning laptop and goes to town. The rest is the same: a quality aluminium exterior and carbon-fiber top, and that wonderfully compact, bezel-free 13-inch screen. Yes, we get tired of writing that the XPS 13 is the “best one yet” but in this case, it’s true in every sense of the word. 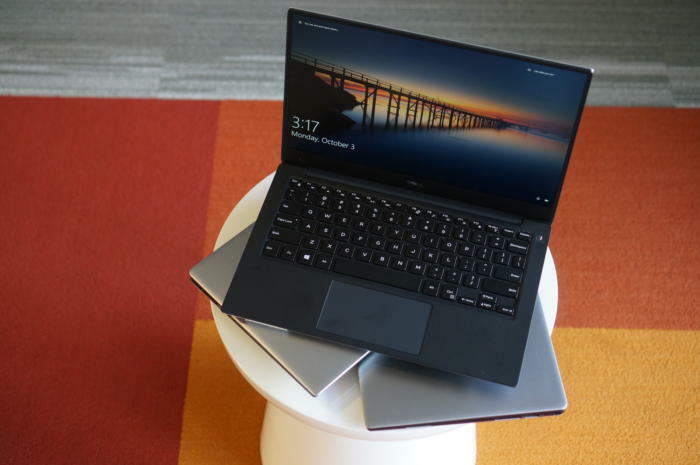 If you’re super hot on an XPS 13—you may want to wait until we finish our review of the new XPS 13 (preview here) that promises less weight, more performance and one compromise that may be too much for some. 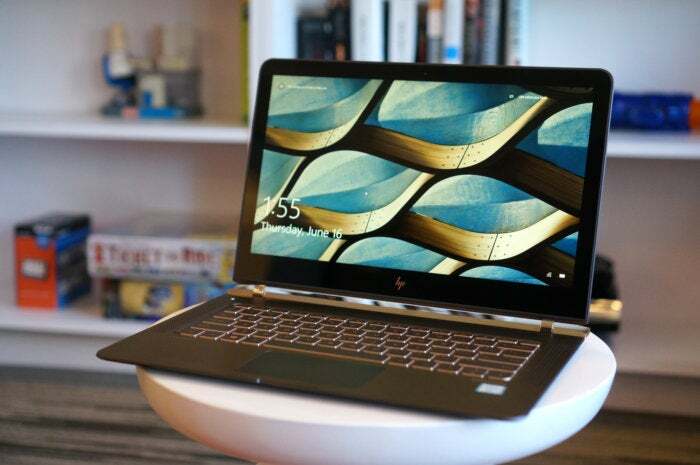 If looks are more your thing, the HP Spectre 13.3 (available at HP.com) certainly has a distinct profile: It’s one of the thinnest ultrabooks around. For anyone coveting the streamlined experience of Apple’s 12-inch MacBook, this 13-inch notebook will bring you close while providing superior performance. You might expect such a skinny laptop to sport a lower-wattage Core i3 or i5 processor, but HP fits a 15 watt Core i5 or i7 processor into this Spectre. That puts it on par with other, chunkier top-tier ultrabooks, like the XPS 13. Combined with its 256GB M.2 SSD, it runs smoothly and swiftly during typical office drone work (word processing, spreadsheet editing, web browsing, etc), without any heavy throttling of performance during CPU-intensive tasks. HP also made the ports count: While there are just a few, you get not one but two Thunderbolt 3 ports, as well as a USB-C port. The drawbacks of this modern and sleek notebook are its battery life, which is modest due to its smaller battery, and its wider frame. (The Spectre 13.3’s hardware and cooling configuration requires a certain amount of space—HP’s engineering is impressive but can’t defy the laws of physics.) It’s for those reasons that we prefer the Dell XPS 13, but this laptop is still a very fine companion. Lenovo’s latest Yoga 920 (reviewed here) was considered here to push the Spectre from the top of the President-of-the-Hill contest (‘Murica folks) but in the end, the extra weight of the 14-inch Yoga and the extra cost hurt its position. 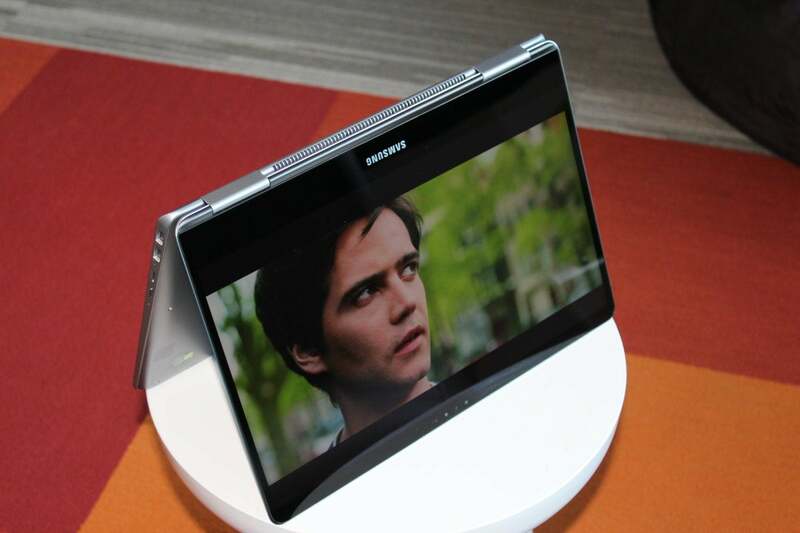 Samsung’s Notebook 9 Pro impressed us when we reviewed it. Compared to other models we’ve tested recently that offer a high-resolution touchscreen display, a 360-degree hinge, a cool metal chassis, and even pen support, it’s carefully designed to offer a little bit of everything, with a few standout features: a discrete Radeon RX 540 GPU, an integrated S-Pen with special Samsung applications as well as Windows 10 inking compatibility, and impressively long battery life. Given its good overall showing, the Samsung Notebook 9 Pro is a laptop many people can like, including entry-level gamers. In fact, its pricing and specs are virtually identical to our favorite budget ultrabook, the Asus UX305 (now discontinued). Inside you get a Core m3-6Y30, 8GB of RAM, and a 256GB SSD, and outside there’s a 1920×1080 IPS screen with an anti-glare finish. Our current pick for best gaming laptop is the Alienware 17 (available at Dell.com)—it comes equipped with a GTX 1080 mobile GPU and a 17.3-inch 2560×1440, 120Hz G-Sync panel, and it starts at $2,300. For that chunk of cash, you’ll get smooth, high frame-rate gaming at a previously unprecedented level. Our review unit posted frame rates over 150 fps with everything maxed out in Middle-earth: Shadow of Mordor, and over 100 fps in Rise of the Tomb Raider. Sure, this machine isn’t as portable as other gaming laptops sporting Nvidia’s new Max-Q mobile GPUs—but Alienware gives you full 1080 performance all the time, with a better and more consistent frame rate than those lighter notebooks. The Alienware 17 does have a couple of drawbacks: Its fans are loud, and its battery life is average. It’s also huge. However, these aspects that shouldn’t bother people in the market for a true desktop replacement. You no longer have to be P. Diddy to be able to afford a gaming laptop that has some chops. The new Inspiron 15 7000 (available at Dell.com) improves on the previous version by adding a GeForce GTX 1060 Max-Q chip (the previous model topped out at a GeForce GTX 1050 Ti). No, the GTX 1060 Max-Q isn’t quite as fast as the full-fledged version, but it’s really, really close. Close enough that when you’re getting a GPU that used to come only in laptops in the $1,500 range, you won’t mind. That’s because while you’re getting a lot more GPU from the new Inspiron, you’re only paying about a $100 more than you did over the last model. That price includes the GTX 1060 Max-Q, a quad-core Core i5, 8GB of RAM, and a 256GB SSD. The RAM and SSD are easily upgradable, and you can even drop in a hard drive. There’s still a catch with the new Inspiron 15 7000: the display. The original Inspiron 15 7000 featured a downright-ugly TN display. Dell has since upgraded to an IPS panel. It’s better, but for those who expect all IPS panels to be wonderful, that adjective doesn’t apply here. But hey, you are getting a GPU capable of running most modern games without turning down the image quality. To a gamer on a budget, that’s the most important part. Believe it or not, people do use a gaming laptop for things other than gaming. And for those who care about battery life but still want performance when plugged in, it’s hard to beat Gigabyte’s Aero 15X. It’s essentially an upgraded version of the Gigabyte Aero 15 with a GeForce GTX 1070 Max-Q GPU. Sure, cynics will say it’s really just a GeForce GTX 1065, but it’s actually more like, well, a GeForce GTX 1068— so there. Gigabyte’s updated Aero 15X takes our top pick for a gaming laptop that can actually be used, well, like a laptop. The real magic of the Aero 15X is the use of a giant battery, which gives it decent battery life in non-gaming use. By “non-gaming” we mean web browsing, productivity and other not-fun tasks. :ike any laptop with a GPU, once you crank it up, don’t expect more than an hour or two out of it. There are sacrifices to be made for that battery life: There’s no G-Sync, there’s no high-res 4K panel, and, well, the audio could be louder. But when you consider that you’re getting GeForce GTX 1070 Max-Q performance in a sub-5-pound laptop, who can complain? Nvidia’s Pascal GPUs have accomplished a lot. They’ve put the traditional beefy gaming laptops on a par with desktop machines. They’ve also upgraded the term “portable gaming laptop” from an oxymoron to a reality. Put a GTX 1060 into a laptop, and you have a capable machine that can survive away from a wall socket—and won’t break your back carrying it, either. Its extra weight comes from its incredibly sturdy and solid chassis, built to withstand hot climates and gamers who react physically to the highs and lows of gameplay. For some, that’ll be a drawback. But it’s hard to hold the Alienware 13’s design against it, especially after experiencing the pure luxury of its OLED screen. Gaming on it makes the best LCD panels seem pixelated and washed-out. While performance is a hair under that of rival machines like the MSI GS63VR, the difference is almost negligble—just one or two frames fewer per second in our Tomb Raider and Middle-earth: Shadow of Mordorbenchmarks. 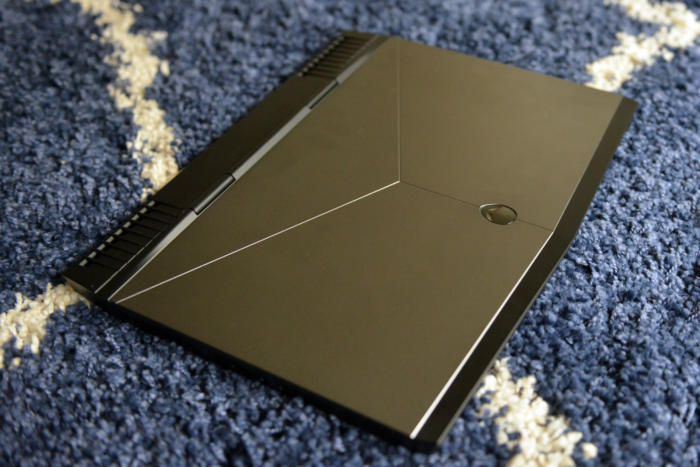 If you can splurge on this version of the Alienware 13, we say do it. From its slick design to its performance, battery life, and OLED display, it’s exceptional in every metric we usually examine. The Surface Book 2 has it all: a 15-inch 3:2 aspect ratio screen, a quad-core 8th-gen CPU, and a GeForce GTX 1060 GPU. 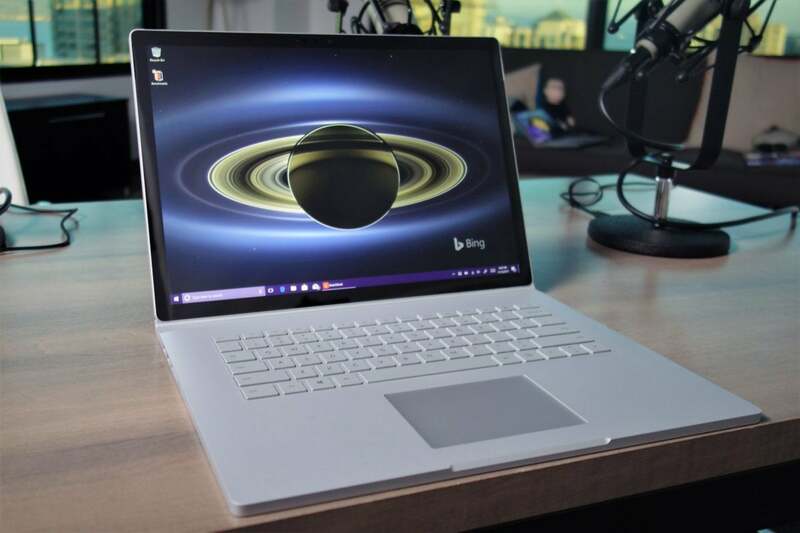 Years after its release, it’s still very difficult to find a class to put Microsoft’s Surface Book-series of laptop / hybrid / tablet / convertibles / dunno (review here.) If there is one place we could put it, though, it would be in the “stupidly fast” category. With the Surface Book 2, our top pick for all-out luxury laptop (our test unit costs $3,299), Microsoft basically took its original Surface Book, put it into the copier and hit Enlarge. What you get is a new Surface Book with a 15-inch 3:2 aspect ratio screen, a quad-core 8th-gen CPU, and ta-da: a GeForce GTX 1060 GPU. That’s basically enough firepower to run modern games at 1080p+ on Very High to Ultra settings. You get all that with the expected futuristic design of the Surface Book 2, and what is arguably the most powerful tablet convertible we-still-don’t-know-what-to-call-it device around. Is there a gotcha? Yes, and it’s something you should know: The Surface Book 2 has a slight problem with its power (documented here). Microsoft bundled a slightly undersized power brick for the amount of hardware it packs. As a result, under heavy GPU and CPU loads, the battery will start to discharge slowly—by as much as 15 percent in our tests. At that point (when set on maximum performance), it holds the line because the GPU has heated up enough that it begins to throttle back on power consumption, basically reaching an equilibrium. Should Microsoft have included a slightly bigger power brick to compensate or maybe used an Nvidia Max-Q part? Probably. Is this a deal-breaker? Nope. This is an amazing amount of graphics performance in an amazingly portable machine. In fact, there’s a good chance the GTX 1060 here, even set at a somewhat slower clock speed, will be untouched by the upcoming crop of Kaby Lake G laptops in graphics performance. All we know is, if you’re looking for lots of power in a portable package with some style and class, today, it’d be hard to beat the Surface Book 2. 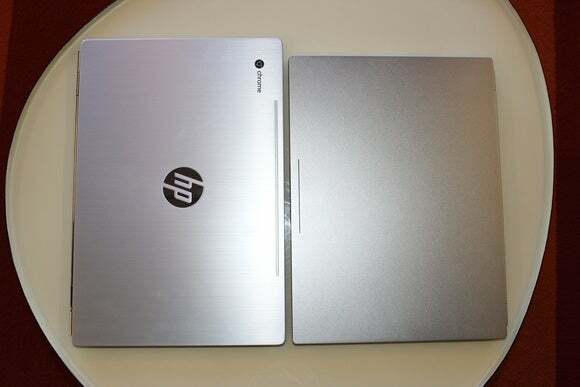 While our former favorite is still a really nice Chromebook, HP’s Chromebook 13 (available from HP.com) literally outshines it with a beautiful-looking laptop that no one will mind showing off, and power to spare. It’s also the first serious competition to Google’s Chromebook Pixel flagship (specifically, the second-generation, 2015 model). 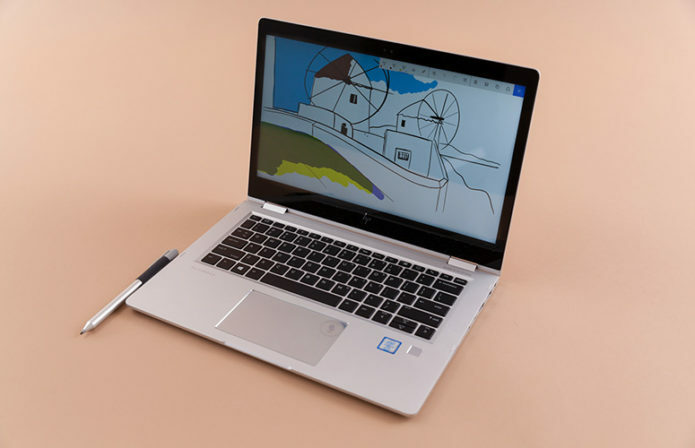 Our review unit, the third-highest of four SKUs, priced at $819, performed on a par with the $999 Chromebook Pixel in our tests, plus it has a higher-resolution display. The only thing about the Chromebook 13 that might be less than outstanding is the battery life, which fell well below HP’s spec in our tests, though it’s still pretty good. We’ve also heard complaints about the trackpad’s responsiveness, though we didn’t notice it on our review unit. We have low-end Chromebooks to thank for bringing web productivity to the masses—budget-minded individuals, and of course, cost-conscious schools. 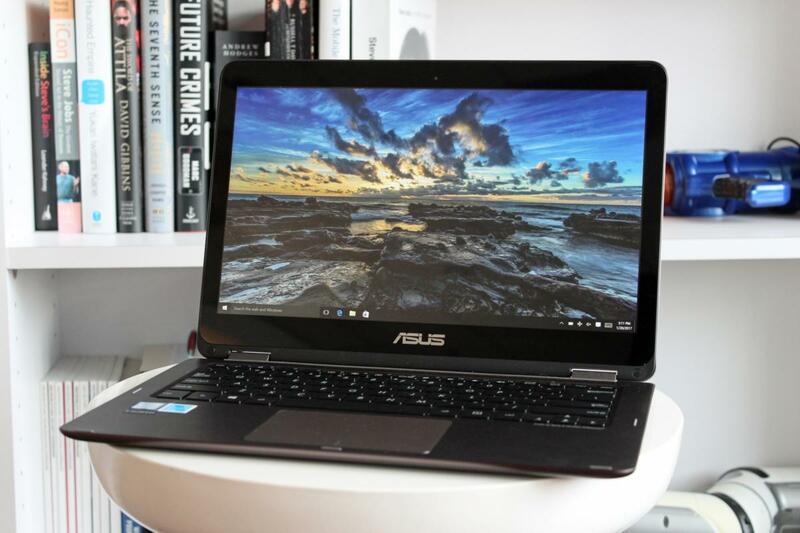 Our pick for the best budget model is the Asus C202S (available at Amazon). Built to endure being shared among students, schlepped around classrooms, and shoved into backpacks, it’s more than ready to handle incidental wear and tear in your home environment. Despite being a budget Chromebook, the C202S has a surprisingly nice keyboard. Most Chromebooks in the $200 price range don’t feel up to much challenge, honestly, but you’d actually have to work a bit to rattle the C202S. The durable design also makes it nicer to use than most bargain models. 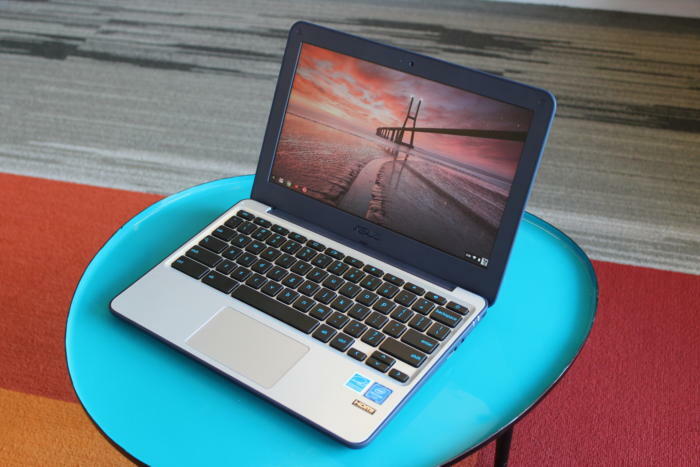 What we love most: It has a surprisingly nice keyboard (whereas many low-cost Chromebooks’ slabs are awful), and it’s even water-resistant and repairable. Apple’s laptops might not be game-changing or cheap, but they don’t need to be. Paying more for the same kind of hardware you’d find in a Dell, HP, or Asus laptop is the entry fee for access to macOS and its integration with iOS devices. 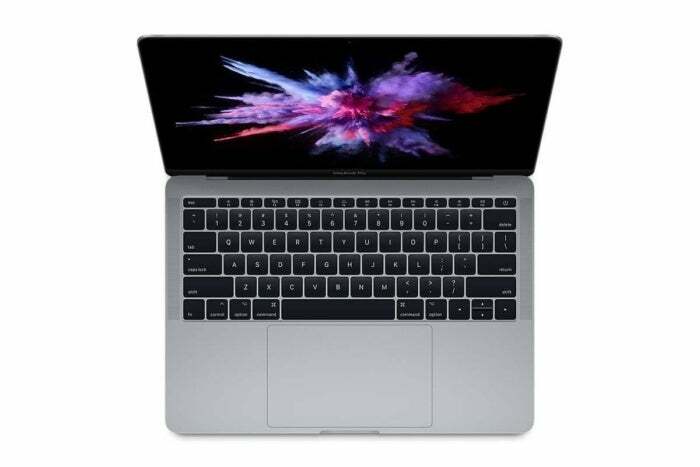 Of the options available, we think that the $1,499 13-inch MacBook Pro (available at Apple.com) provides the best balance of value and performance. While the MacBook Air is more affordable, this MacBook Pro features faster hardware and a higher-resolution screen. It also has a far better keyboard than the smaller and lighter 12-inch MacBook. This particular model offers a 7th-generation 2.3GHz Intel Core i5 processor, 8GB of memory, 256GB of flash storage, Iris 540 integrated graphics, a 2560×1600 screen, and two Thunderbolt 3 ports. If you want Apple’s new Touch Bar as a feature, you’ll need to upgrade to the $1,799 model. The $1,799 model also offers a faster 3.1GHz Core i5 processor, a TouchID biometric sensor, and two additional Thunderbolt 3 ports. The main downside to the MacBook Pro is that its ports are all USB Type-C connections. While they all support the Thunderbolt 3 spec and thus allow you to use them for DisplayPort output, charging, and data transfer, it does mean you’ll need to buy adapters or a dock to use USB-A devices and wired LAN connections. You can read more about the MacBook Pro and its recent upgrades at our sister site, Macworld.